Making a Bark Liner for a Knife Sheath. Part 3. Making A Bark Knife Sheath or Liner. Part 2. Found In Australia. Part Seven. There really should not be a need to spend big money on purchasing period correct knives. Most knives off the shelf are not period correct and custom knives can be costly. But second hand shops often sell good butcher knives that make excellent hunting knives. 20th century knives will require a new handle to be period correct, but 19th and 18th century knives are fine as is. All these knives were found in either a market or a second hand shop with prices ranging from $2.00 to $18.00. Two very similar English butcher knives. The handles are pinned and not riveted which is period correct. This blade probably French, was a lot larger than show here, almost twice the size. I reshaped this blade and made and fitted the handle.. This one is a 20th century knife and not much good as is. The blade is very worn, and the handle is riveted. But the steel is good, and I was thinking of making a jack knife out of it. This jack knife has had new bone slab handles fitted. English butcher knife with a pinned handle. This is a great little knife which I presently use as a legging knife. Found In Australia. Part Six. "Steel" refers to the introduction of steel tools by the Macassans. These were highly prized, and traded locally along with tobacco down through the ancient trading routes along songlines which interconnected all the peoples of Australia (at least 500 language groups). This included the famous Pituri Trail (pituri being a native drug plant farmed in Central Australia from time out of memory). These trade routes would have even interlaced with those established by eel farmers in the south of Australia, who built canal systems in towns constructed from stone masonry. I found an axe in the Guyra museum not far from where I live. This axe was identical to one shown in "Firearms Traps & Tools of the Mountain Men" by Carl P. Russell. This adze I found not far from where I live. This axe head I found buried in the forest where I live. This axe head shape dates from the Medieval period through to the 19th century. I found this one buried not far from where I live. 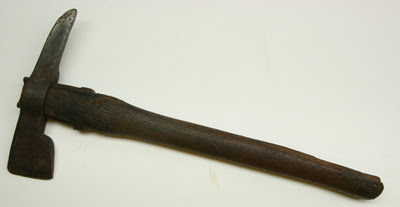 A boarding axe like this one was recently found in Australia. This auger I found in a second hand shop in Armidale NSW. Found In Australia. Part Five. 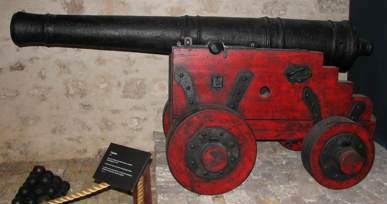 Cannon barrel. Found buried in the sand on a beach in the Northern Territory. Arabian flintlock pistol. Museum of Victoria. This 19th century fowler or fusil was made in England . Found In Australia. Part Four. One early reference to the wreck that I can find comes from Mr. Alfred Burt, one time Registrar of Titles in Western Australia. The comment was made in the 1870�s. He makes the statement: that the wreck is partially buried in mud, unmistakably very old, and probably foreign. The fact that Burt was an educated man of some standing in the community would suggest his observations as being reliable. His remarks that the wreck was "unmistakably very old and probably foreign" would suggest that he also had some knowledge of ships and it was obviously somewhat different to the many vessels visiting Fremantle at that time. Had the wreck resembled a whaler, sealer, schooner, coastal trader, etc. [as the size of the vessel would fit this type of ship], I would imagine that he would have described it as such. At the time of Thomas Bindloss�s salvage letter,  Receiver of wrecks Worsley Clifton and Resident Magistrate of Bunbury George Elliott wrote to the Colonel Secretary regarding, and describing a trip to the wreck some 30yrs previously. If the wreck had been sighted by these men in the 1840�s the above description would certainly suggest pre-settlement. When the French expedition in 1801 commanded by Nicholas Baudin visited and charted the area, no mention was made of the wreck in any of the many journals kept regarding that voyage. The “Search for the Deadwater Wreck” is a project of the Australia on the Map Division of the AHS. It was adopted as a project because of its potential in making Australians aware of their early maritime history and heritage. It also has a particular resonance with hydrography, as I hope will become evident in this presentation. The Deadwater Wreck is an „undiscovered‟ shipwreck, probably of Dutch origin, dating from the period 1650 to 1750. I use the word „undiscovered‟ advisedly as it was actually seen and reported on by highly credible informants on numerous occasions in the 19th century. Found In Australia. Part three. Tha Batavia. I once saw the Batavia replica in Sydney Harbour. I got close, but was not allowed onboard at that time. The things I remember most about this ship are (1) it was a lot smaller than I expected, and (2) it looked very formiddable! First known pictures of Australia. 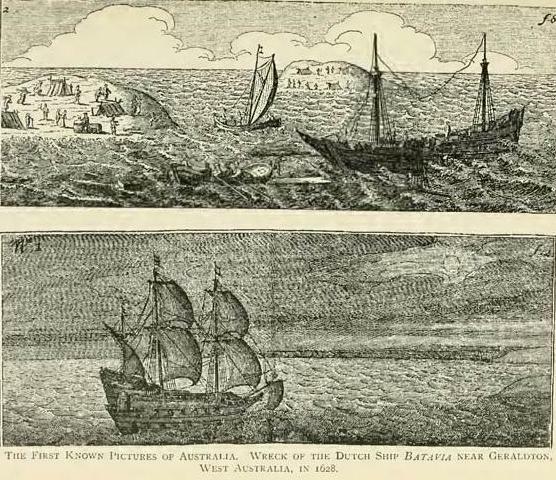 The wreck of the Dutch sjip Batavia near Geraldton, West Australia, in 1628. The Batavia was wrecked during the early hours of the morning on June 4th 1629, after striking a reef in the Houtman Abrolhos Islands. The reef is now known as the Morning Reef. There were 341 people on board the Batavia. Using two boats salvaged from the wreck, most of the passengers and crew were transferred to the nearby islands. Forty people drowned in the rough seas. 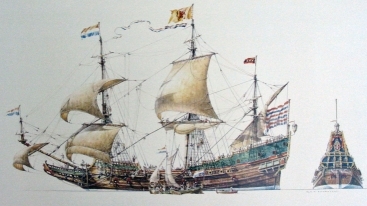 Conservative estimates suggest over 300 passengers and crew of the Dutch East India Company inhabited the Western Australian coastline, as a consequence of being marooned. That seems like a lot of people, though it must be remembered they landed across a period of nearly 100 years (1629 -1727). Labels: 17th century, Australia, Batavia, Dutch, Historical, Historical reenactment, historical trekking, living history, ship, ship wreck, survival. Found In Australia. Part two. Found in Australia. Part One. 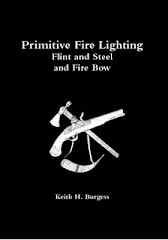 Trapping, Survival and More. A Video. Reshaped Knife & Its Bark Sheath. Another great find at the Second Hand Shop! Belt & Strap Buckles Part 3. Belt and Strap Buckles Part Two. Belt & Strap Buckles Part One. Indentured. Starting a New Life in The New World. Puritan Family of New England. Video. 18th Century Virginia Planter Video. 17th-18th Century Shoe Project. A Link. What To Wear. Plymouth. A Link. The Tomahawk and Its Weight. Vine-Bud Potage. A Link. The Old Foodie.